$19.95 Software Lets You Save up to $70 per 1000 Checks. CHECKMAGIC ® is the easy to use software that prints checks directly from QuickenTM or QuickBooksTM on blank check paper. Starting at $19.95 for QuickenTM you can save up to 70% of the cost of custom pre-printed checks, with the added convenience and security of printing your own checks. Never buy pre-printed checks again. No more wasted checks when you move or change banks. Print multiple accounts on the same blank stock. Print your own deposit slips. Print your custom logo and signature on the check. Print blank checks for completion by hand. Announcing the all new Version 5.5 Professional that will print Payroll and Accounts Payable QuickBooks voucher checks exactly as produced by QUICKBOOKS. Click here for more information. Current Users: If you have recently upgraded to WindowsTM Vista, Windows 7, Windows 8, Windows 10 or Quicken 2018, 2019 or QuickBooks 2018, 2019 and are having problems printing checks contact us for information on a new upgrade available. You may also order it on our secure order form and we will send you an email with download instructions. Click here to for more information. For many years, we have been providing custom check software solutions to hundreds of corporations. Now we have applied our expertise to create CHECKMAGIC software, so that the Quicken and QuickBooks user can enjoy the same quality, flexibility and cost savings as our corporate clients. 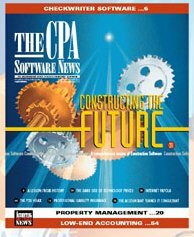 As Reviewed In THE CPA SOFTWARE NEWS, The Independent Voice For Accountant's Software. "[CHECKMAGIC]...is worth a serious look if you or one of your clients use Quicken or QuickBooks and want to eliminate the need for pre-printed check stock... In just a few check runs this program will pay for itself." "Instead of paying for preprinted checks... I print checks using blank check paper and CHECKMAGIC, a $20 program that's easy to use." -Steve Bass Contributing Editor PC WORLD. Write checks as usual in Quicken or QuickBooks, then CHECKMAGIC takes over and does the rest. Prints all information on the check in one step, including your name, check number, and bank routing codes. Prints on blank check paper, available from us in several styles. Save up to $70 or more on every 1000 checks you use. Our blank check paper is far more economical, convenient, and secure than custom preprinted check forms. 1000 checks, complete with software, costs less than Quicken's minimum order of 250 preprinted checks. Click here for a detailed explanation and cost comparison. CHECKMAGIC can be ordered by telephone to our toll-free number and charged to your MastercardTM, VISATM, American ExpressTM or DiscoverTM. Several check styles and window envelopes are available. Supports Quicken 5, 6, 98, 99, 2000, through 2018 or QuickBooks 4, 5, 6, 99, 2000, 2001, 2002, 2003 or 2004 through 2019 with WindowsTM 95, 98, ME, 2000, XP, Vista and Windows 7, 8 and 10 (32 & 64 bit). ((Including SE, Basic, Home & Business, Deluxe, Pro, Premier, Accountants and Enterprise 3 through19 versions). CHECKMAGIC is network ready at no additional cost. Convenient Order Form available online. Click here for a PRICE LIST and information about the options we provide, the configurations we support, and how to get CHECKMAGIC as quickly as possible. Click here for more information about CHECKMAGIC and custom check printing. Click here for information on how to acquire the most current version of CHECKMAGIC. Click here for answers to the most asked technical support questions. Our Privacy Pledge to you: Internet privacy is a matter of growing concern, especially among visitors to commercial websites. CHECKMAGIC recognizes and respects the privacy concerns of all visitors to our site. We do not rent, share, or sell customer names, addresses, phone numbers, email addresses or other customer or visitor information. We do not share customer information with outside parties not directly involved with transactions. We do not send unsolicited junk email (spam). The email address you provide with your online purchase is used only for order & shipping confirmation, or to contact you regarding your order. We especially value personal privacy, and pledge to honor yours.